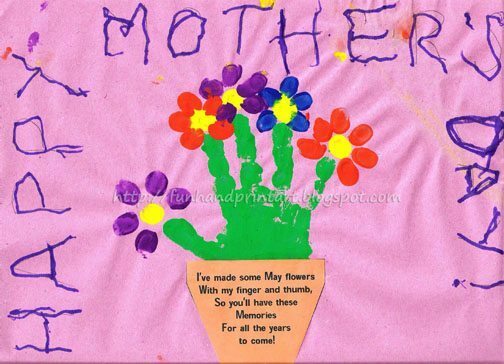 Here is my son’s Mother’s Day Card (that I helped him make for me…. 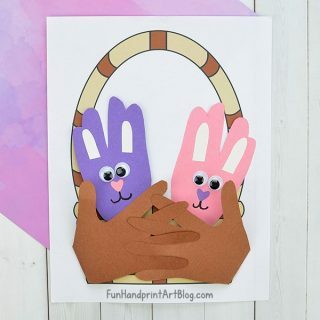 😉 ) I saw the cutest handprint and fingerprint flowerpot craft over on Tip Junkie and thought it was a neat idea. My son enjoys painting with his fingers and isn’t good with a scissors quite yet, so I adapted it so he could be involved in the process. While they don’t have a template for making it, you can easily recreate it. *This post contains affiliate links. Not sure what that means? Please read our full disclosure here. 1. Have the child paint their hand with green. If they are a toddler or young preschooler, you may wish to go back over it afterwards. Then, make a print in the center of the construction paper. 2. Next, set out a couple blobs of different colors to make the flowers. You could use a paint palette of place a tiny amount of each color on a plate. 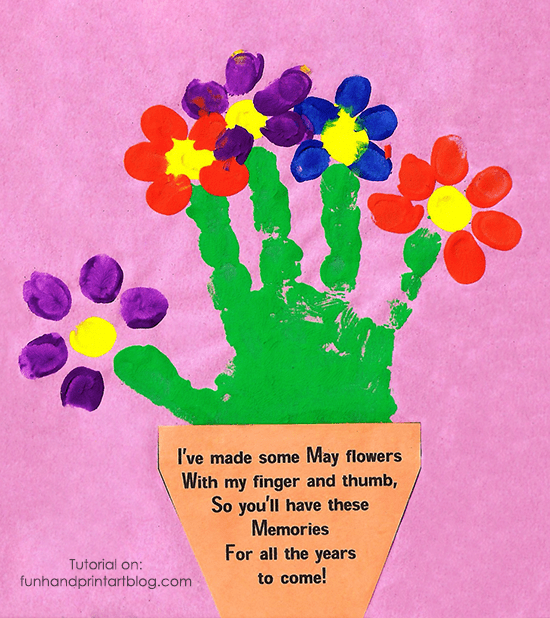 Start with the centers of the flowers (ours are yellow) and make a fingerprint at the tip of each green finger. 3. Make flower petals around the centers. Set aside to dry. 4. While it’s drying, get the flowerpot ready. You could make this simply by cutting a flowerpot shape from paper or open up something like Word and type the poem, print it, and then cut the shape around the poem. 5. Glue it in place under the palm of the green handprint. 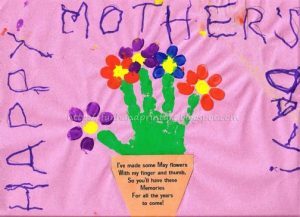 Don’t forget to have them write, “Happy Mother’s Day!” on it as well as their name/age/date. I wrote the words in pencil around the edges of the paper and my 3 year old traced over it with marker. He is just learning how to trace, making it my first card where he wrote on it! 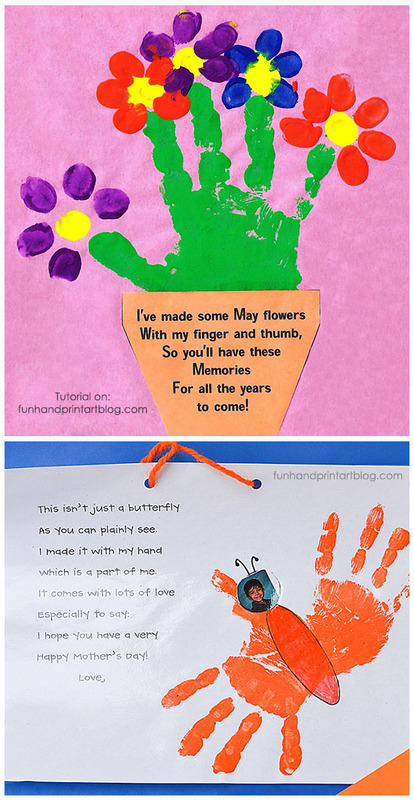 If you like this handprint and fingerprint flowerpot craft, you might also like this super cute handprint butterfly and poem printable craft. SO cute! I love it! Thanks! I love the flowers at the finger tips! Too cute! So glad I found your other blog which led me here! 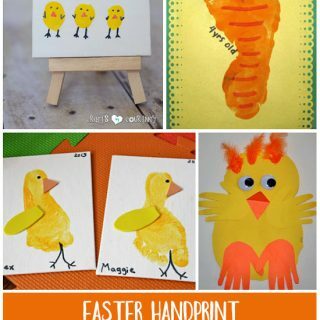 I am such a huge LOVER of handprint/footprint Art! 🙂 I do it all the time with my girls! Love that you ahve dedicated an entire blog to this idea! I am giddy to look around!